Mario Tama/Getty ImagesA tropical disease expert warned more than one million pregnancies in the US Gulf Coast are at risk of Zika infection. 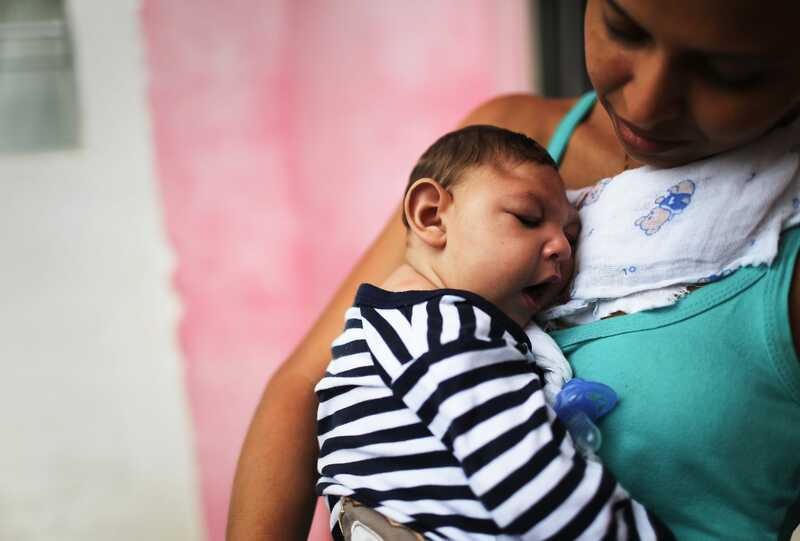 Pictured here, a baby born with microcephaly, a birth defect caused by Zika virus infection. Zika is a “virus from hell” that is set to infect at least four million people in the Americas by the end of the year — and may already be present in the Gulf Coast of the US, a tropical disease expert has warned. Dr. Peter Hotez, dean of the National School of Tropical Medicine at Baylor College of Medicine, told CNBC that he believes mosquito-borne Zika could already be spreading undetected in the region, including throughout major Gulf Coast cities, such as Houston, Galveston and New Orleans, as well as Florida. Those areas have a combined population of approximately 60 million individuals, the expert wrote in the journal JAMA Pediatrics, which means more than one million pregnancies are at risk in US Gulf Coast states. Hotez wrote that Zika is poised to have the most devastating health effects on children in the Americas since the HIV/AIDS crisis in the 1990s. Most adults infected with the virus don’t present any symptoms, and the most devastating effects appear to be on developing fetuses, according to the Centres for Disease Control and Prevention. That’s how the virus can go undetected for so long. Doctors have already confirmed that Zika causes microcephaly, a defect in which babies are born with abnormally small heads and underdeveloped brains. But Hoetz cautioned that it may also cause newborns or older infants to show signs of “significant neurologic defects” and developmental delays, as well. “The full pediatric neurologic and psychiatric impact of Zika virus infection will take time to sort out and may not be fully realised for years,” Hoetz wrote.